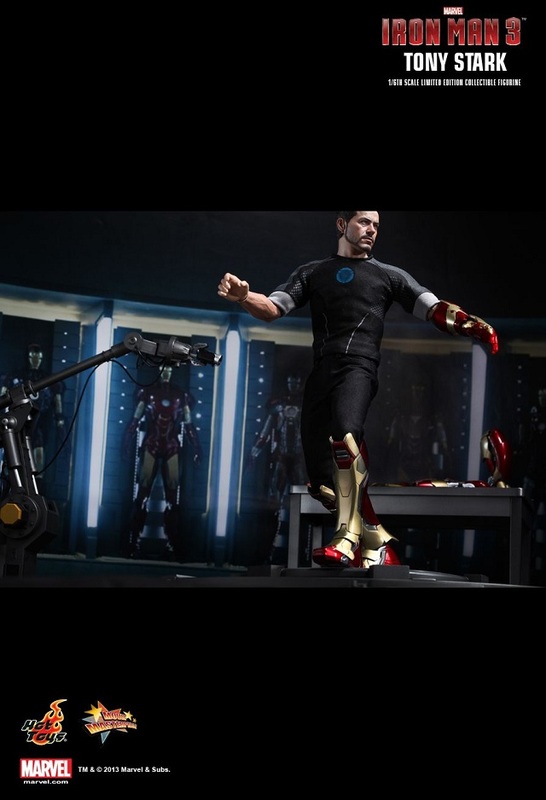 The Iron Man 3 movie is coming in just three months! 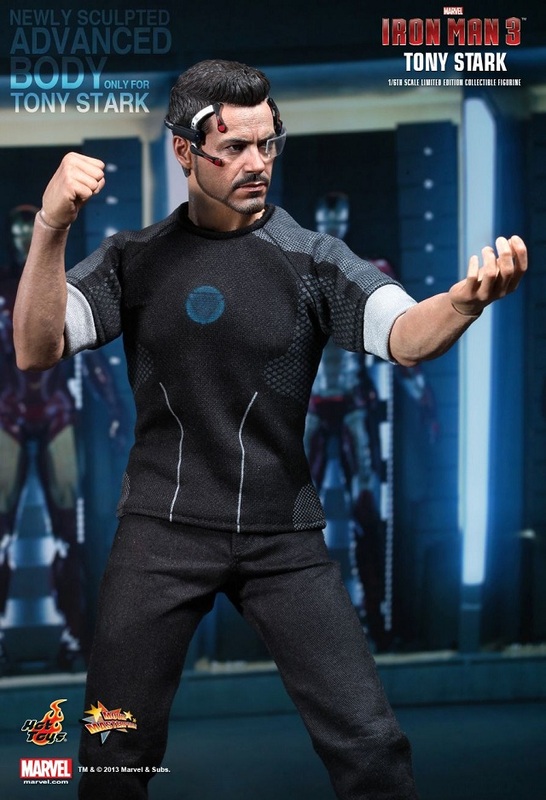 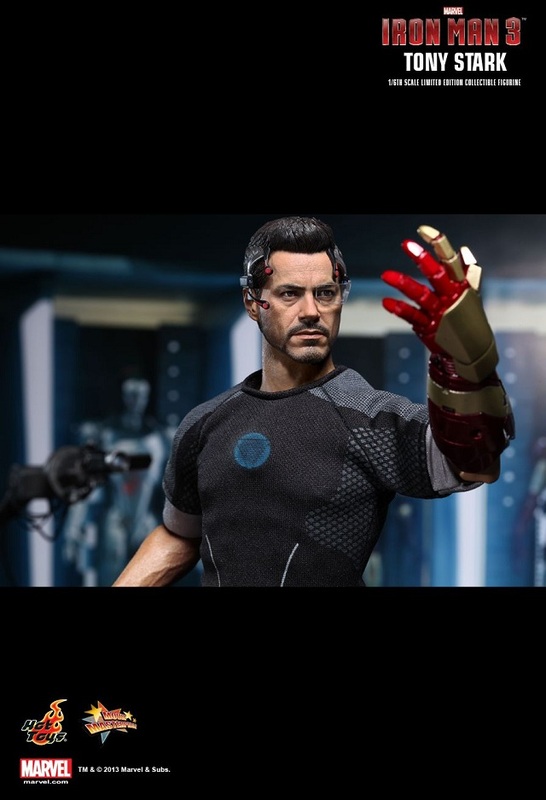 Hot Toys is excited to present the 1/6th scale Tony Stark Limited Edition Collectible Figurine from this highly anticipated Iron Man 3 movie. 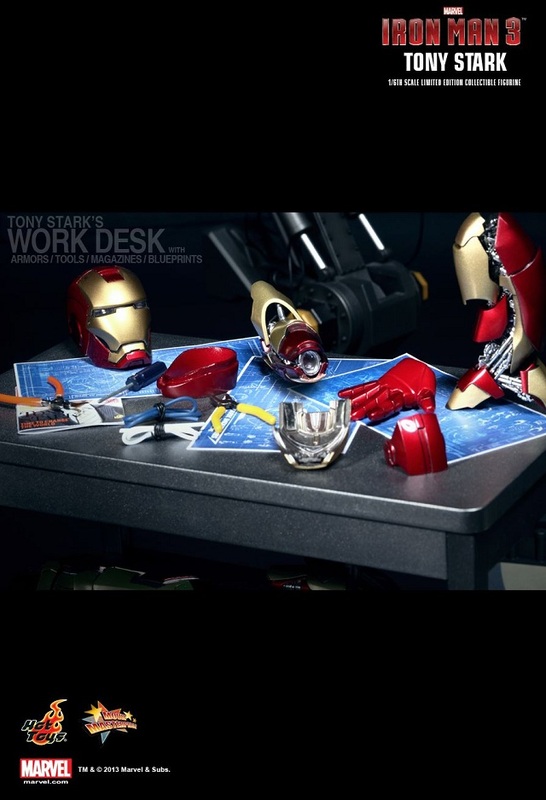 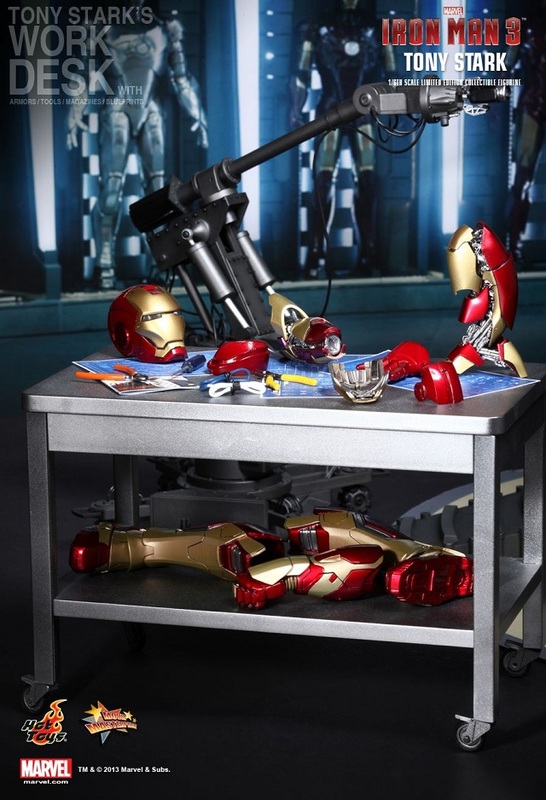 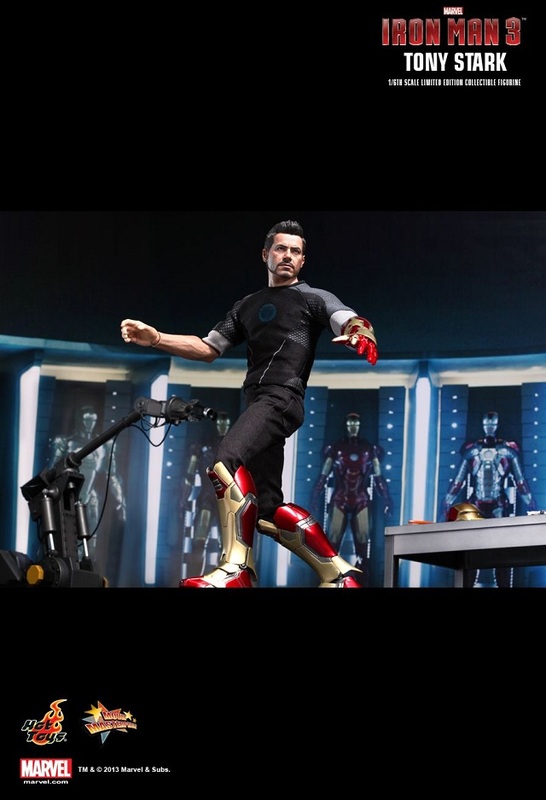 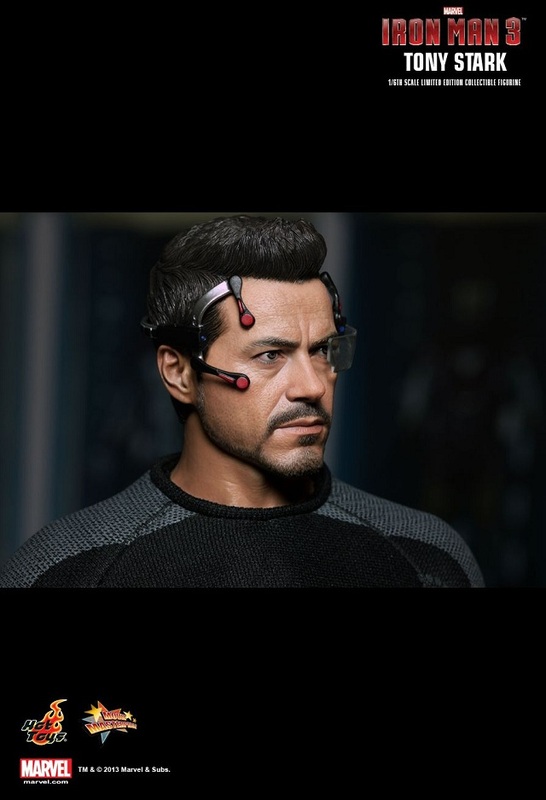 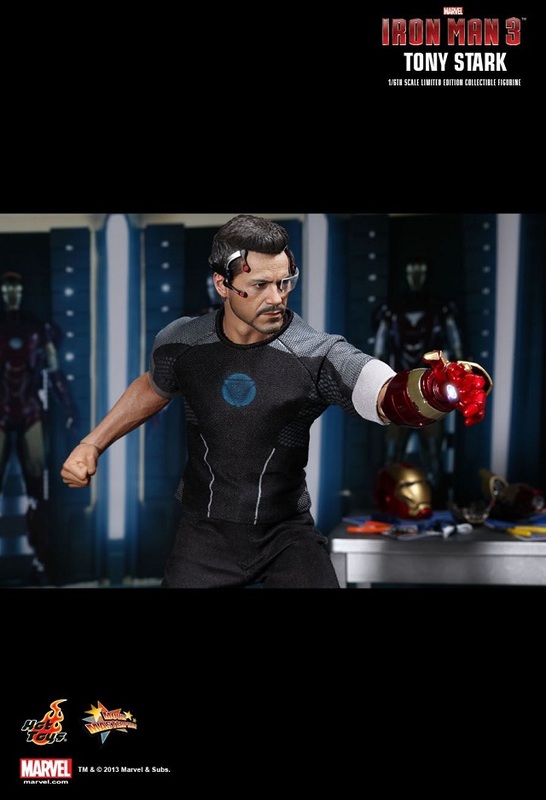 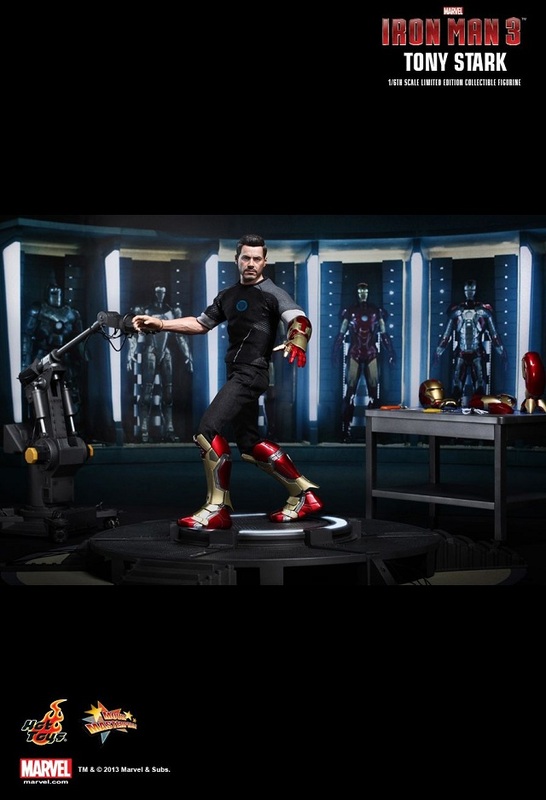 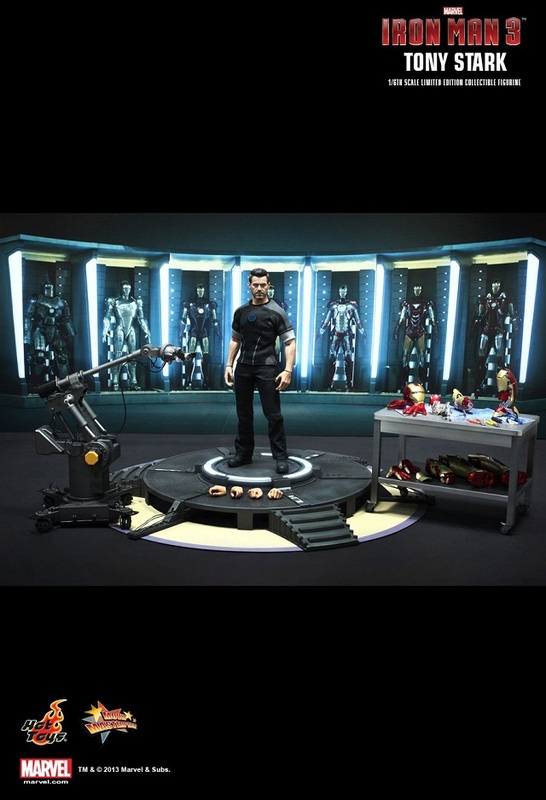 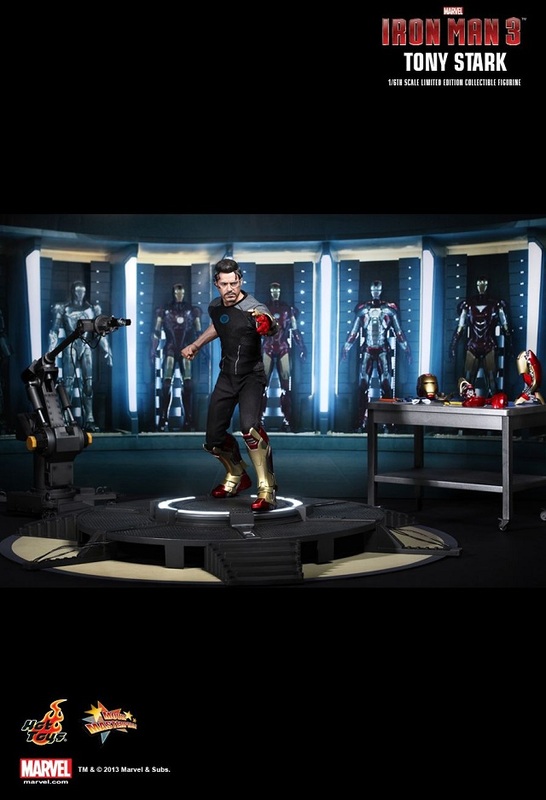 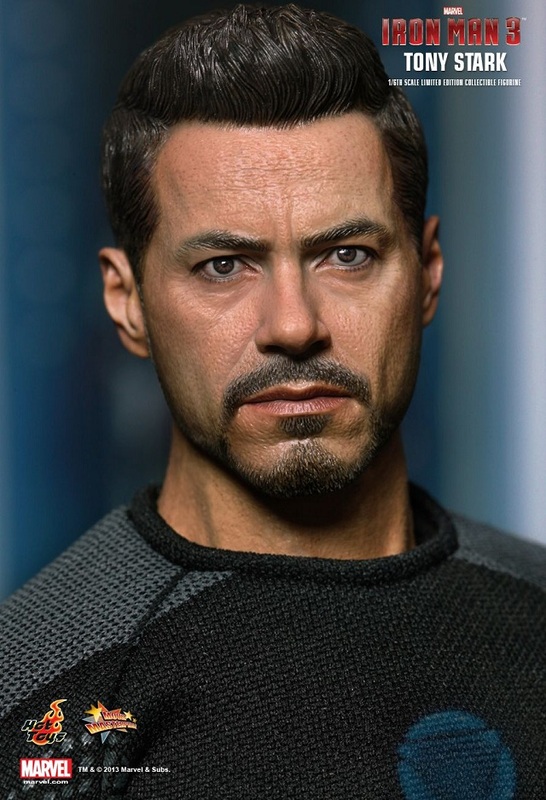 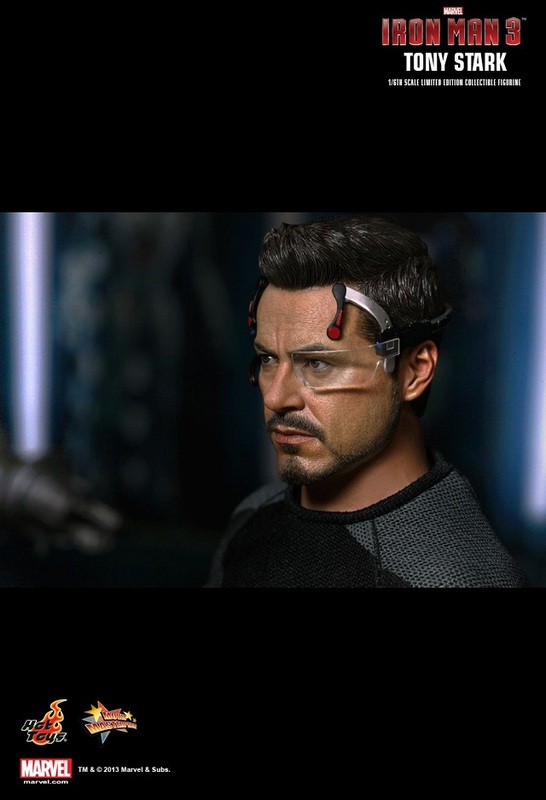 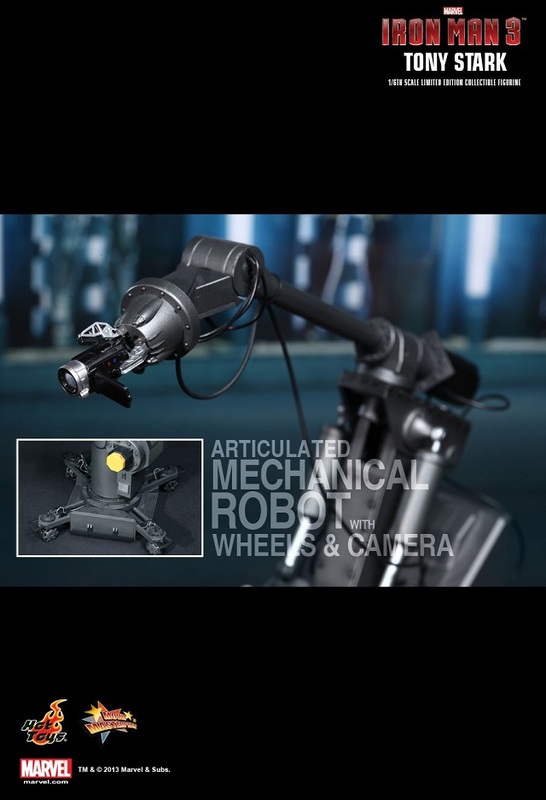 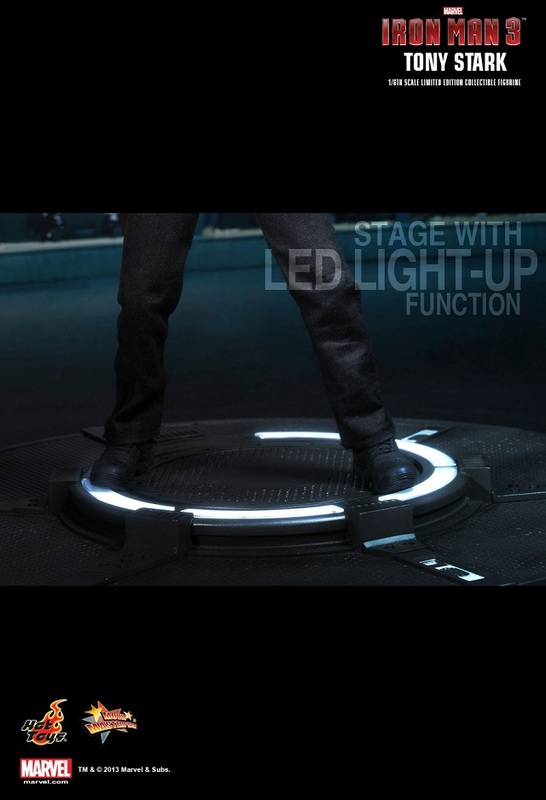 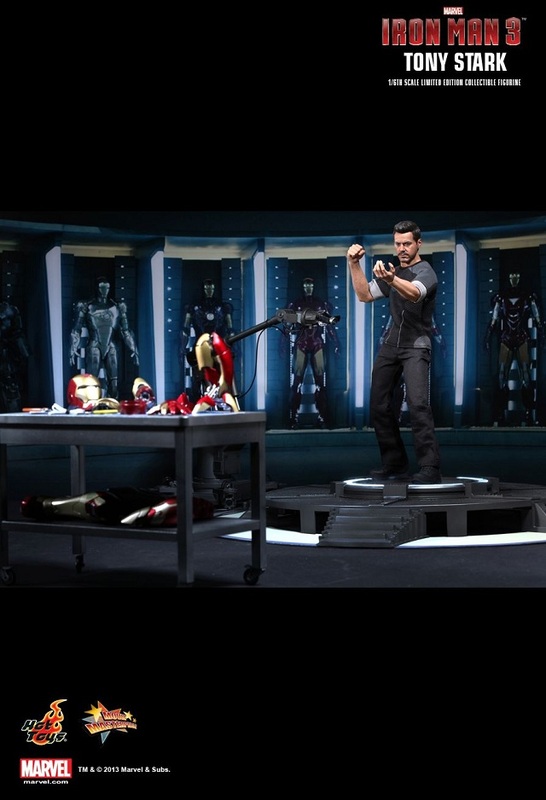 The movie-accurate Tony Stark collectible is specially crafted based on the image of Robert Downey Jr. as the genius billionaire Tony Stark in his workshop in the movie.